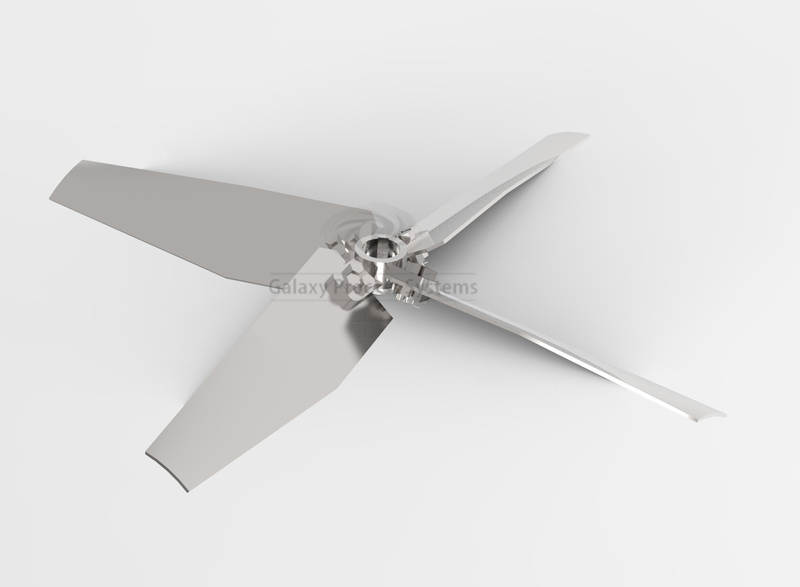 The AXF-100/3 series impellers are generic 3 bladed Marine Propellers. These are traditional impellers and are used for variety of flow controlled applications. These Impellers are used in applications where a degree of fluid flow is beneficial to the overall process result. 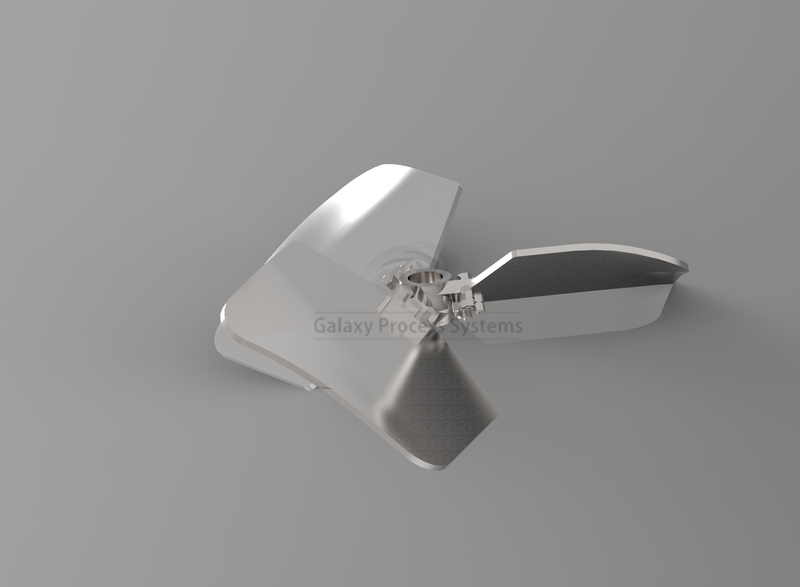 AXF-22/3 is a three bladed hydrofoil impeller with Low Solidity Profile. They are high flow efficiency impellers which provides optimised results compared to other types of axial flow impellers. The AXF-22/3 produces the same flow and process results at a lower power than other axial flow impellers thus reducing operating and capital costs. AXF-22/3 & AXF-32/33 are high-efficiency impeller which delivers true axial flow with high Flow per input Power for mild Mixing applications.AXF-22/3 are designed as per process requirements to yield best results with energy efficiency. 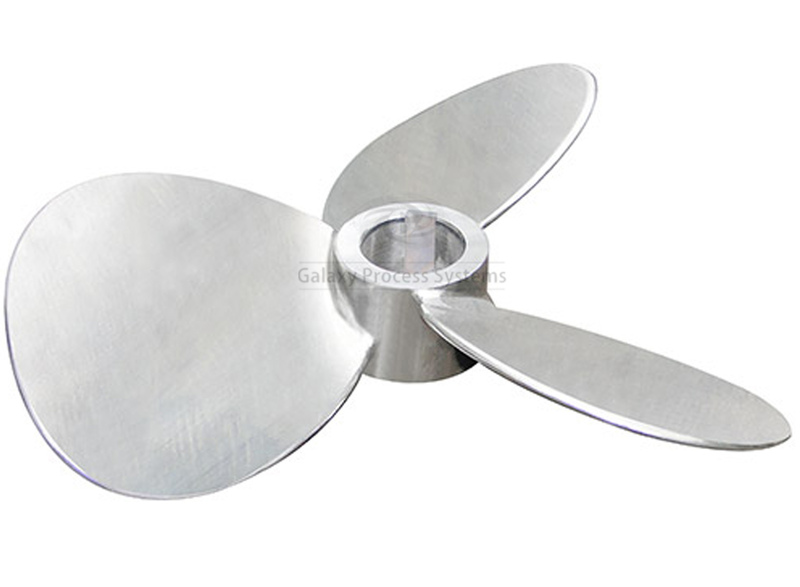 AXF-32/3 is a three-bladed hydrofoil impeller with Higher Solidity Profile. They are high flow efficiency impellers which provides energy efficient solution in compared to PBT in handling Solution upto 30 % Solids. The AXF-32/3 produces the same flow and process results at a lower power than other axial flow impellers thus reducing operating and capital costs. AXF-32/3 are high-efficiency impeller which delivers true axial flow with high Flow per input Power for mild Mixing applications. AX-320/3 is a wide blade Hydrofoil impeller used higher viscosity applications. AX-320/3 is High Flow impeller designed to operate at Viscoities ranging from 5000 cp to 60000 cp. AX-320/3 is effective with high efficiency which operates in the turbulent flow region even at lower Reynolds number. The Optimised Design of AX-320/3 helps in reduction of operating cost making it high energy efficient impeller. AX-315/4 is a wide blade Hydrofoil impeller used in High viscosity, gas-liquid & mass transfer applications. 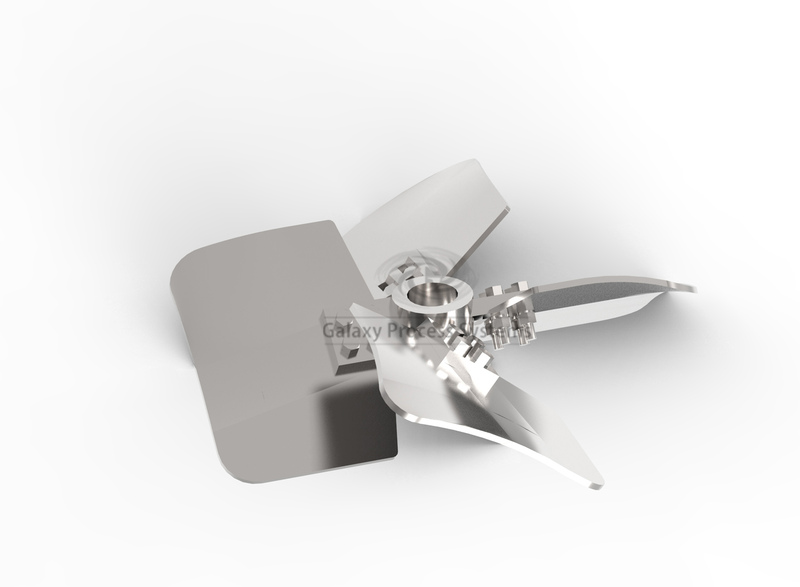 AX-315/4 improves mass transfer to 30 % compared to conventional ruston turbine impellers. AX-315/4 achieves gas dispersionwith control flow patterns 25 to 30 % high mass transfer achievement at same torque and power consumption compares to conventional radial flow impellers. AX-340/3 is a wide blade Hydrofoil impeller used majorly for up pumping applications. AX-340/3 is best suitable for multi-phase applications in chemical industry. AX-340/3 achieveshigh gas induction in the liquid from the surface by providing the larger surface area.AX-340/3 avoids the foaming tendency in the Mixing. 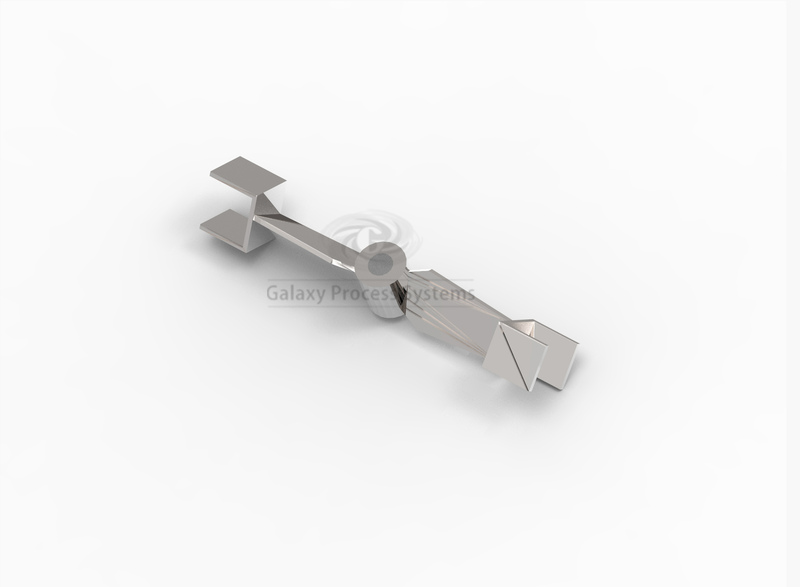 The AXF-350/2 is a axial flow impeller that arranged in series of stages to other at 90° angles. Minimum of two Stage are designed considering the requirement of process. lower power required for full motion blending and heat transfer application in high viscosity and non-Newtonian fluids. AXF-350/2 is suitable for mixing of the medium-viscosity fluids. AXF-350/2 provides large mass transfer coefficients during surface gassing.